Home / Shop / Christmas Homewares / Nutcrackers / Hanging Nutcracker 12cm Asst. The adorable hanging nutcracker weighs about 0.2kg and measures 5x5x12cm. 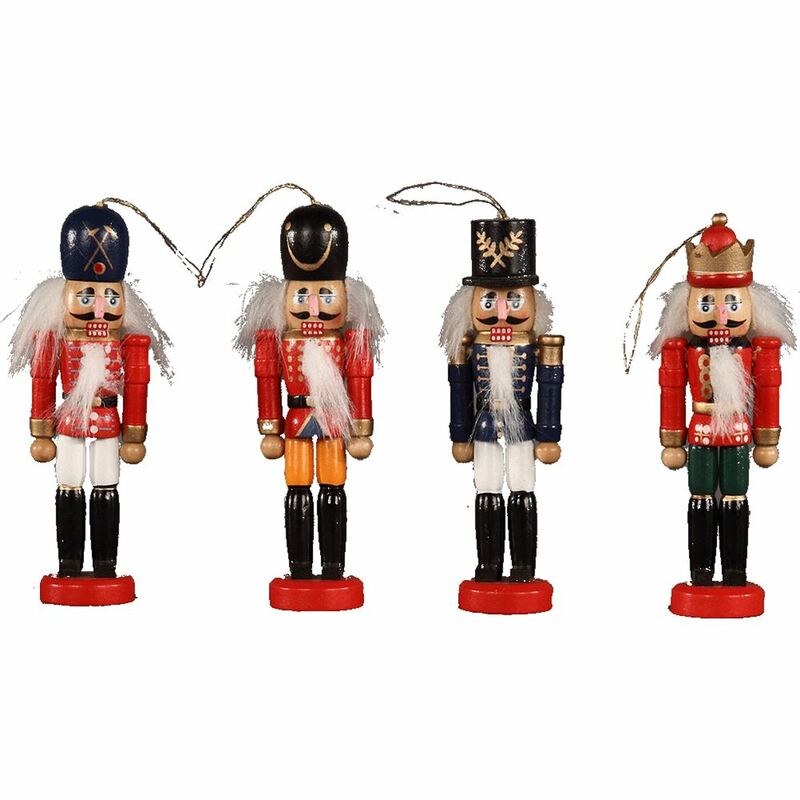 The nutcrackers are solidly constructed with four different designs in bright primary colours. Choose from combinations of red/white; red/yellow; Red and blue/white. All have lovely gold detailing. These little fellows are decorative and useful! Hang one on your tree and you’ll have a nutcracker handy when you need it over your festive break. Buy them in pairs and use them for stocking fillers, or get some for Secret Santa gifts.